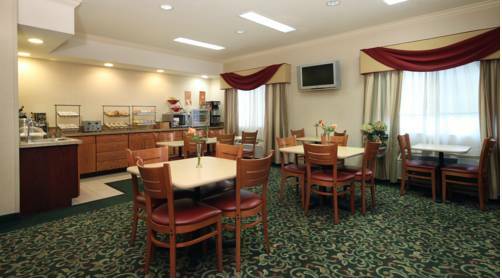 Book your stay at the Fairfield Inn Vacaville; a top choice among hotels in Vacaville, CA. Our Vacaville hotel offers affordability without compromise with friendly services in a prime, quiet and centralized location. We are conveniently located between San Francisco and Sacramento at the base of the rolling hills of Napa/ Sonoma Valley Wine Country. Tour groups visiting Jelly Belly Factory, Vacaville Premium Outlets, and Six Flags Discovery Kingdom will enjoy our free hot breakfast packed with healthy options and hearty selections. Our Marriott hotel is also near Travis Air Force Base. Enjoy easy access to local companies by way of highways I-80 & I-505; readily available if you are heading to Genentech, Kaiser Permanente, Alza, Travis Airforce Base, State Compensation Insurance Fund or Icon Aircraft. At Fairfield Inn Vacaville, we promise youll be satisfied, or well make it right. Thats our commitment to you. Ask us about The Fairfield 100% Guarantee.